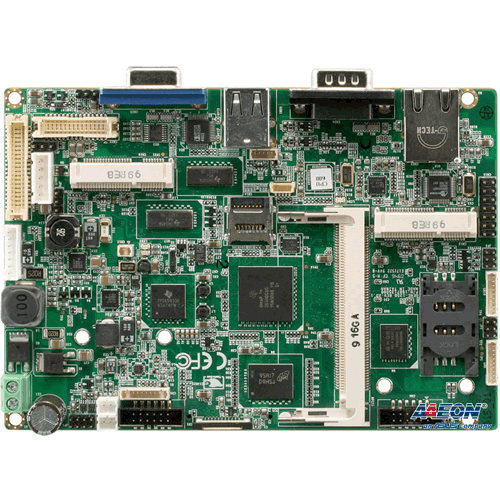 PCA-6782 is an Intel® Atom™ dual-core D525 / fanless N455 CPU based ISA-interface half-size single board computer. With high performance Atom D525 dual-core computing power, it is ideal for intense data or graphic processing applications; with fanless Atom™ N455 CPU, it has ultra high reliability to resist heat, dust, vibration and shock in any application environment. PCA-6782 is designed with an Intel® Atom™ D525/N455 CPU and ICH8M I/O control hub. The Atom™ D525 dual core CPU brings new generation computing capability into the half-size SBC application field. Compact size, low power consumption (Total power consumption ≤ 17.62 W) and dual-core parallel computing power and maximum 2 GB of DDR2 667 MHz memory capacity makes the PCA-6782D a powerful small form-factor computer platform for modern industrial applications that require high computing power. The fanless Atom™ N455 CPU (Total power consumption ≤ 12.56 W) is ideal for data-acquisition, environment monitoring system and factory automation that requires no air flow environments. PCA-6782 has an integrated graphic core of Intel Embedded Gen3.5+ graphic technology with 224 MB shared memory. This feature makes PCA-6782 is capable of handling complex and intense 2D/3D graphic processing without an add-on graphic card; its VGA and LVDS dual video outputs also makes it suitable for applications requiring dual display or digital panel display capabilities. 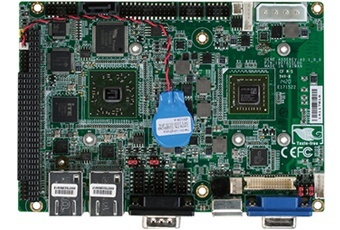 PCA-6782 is rich in I/O interfaces: it has three SATA ports (300 MB/sec) for mainstream SSD (solid state disk), HDD, and ODD connections, one legacy IDE port for the ODD connection. It also has a CF socket to support an economical, easy-to maintain SSD device. Additionally, the two serial ports can be used as reliable legacy device control interfaces.